Our Local’s Guide to Palm Springs Hot Spots is done a little differently. Over the years, we’ve read countless Palm Springs guides to the desert resort town that seem to focus on the same spots, over and over, that highlight big names versus small discoveries. In other words, not where the locals hang. This 25 Palm Springs Hot Spots list is an insider’s guide to local favorites, so if you’re headed to the desert for some R&R this season, be sure to check ’em out. Kick it, old school style, with mimosas on the patio at Spencer’s. 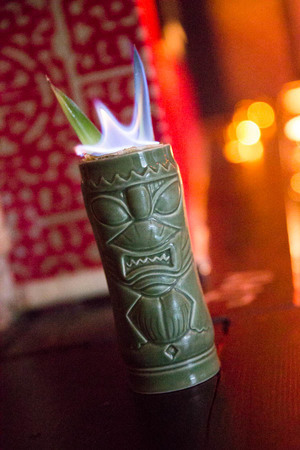 Bootlegger’s Tiki crams a massive amount of creativity & killer rum cocktails in a really tiny speakeasy space. Check out our new favorite hang, Seymour’s, for a speakeasy vibe and great craft cocktails. Look for the hidden door to the right of Mr. Lyons. Refresh at Kings Highway @ the Ace Hotel with an order of Devils on Horseback and a craft beer. Skip the pricy meal at SO.PA and grab an evening cocktail and a seat around the fire pit at L’Horizon. The poolside setting is one of Palm Spring’s loveliest. Bring on the chill with a cocktail and a game of ping-pong under the misters at the new 32-room Arrive Hotel. Drive to Pappy & Harriet’s Pioneertown Palace, about an hour from Palm Springs, to join an eclectic crowd for chili, strong drinks, live bands and impromptu jam sessions from the likes of Robert Plant & Muse. Skip the hour long wait at Cheeky’s and head straight to Rick’s on the north side of town for the best breakfast in town, bar none, for just around $10. Cure your hangover with a green juice and our favorite pitaya bowl at Fresh Juice Bar. Indulgent breakfasts, like stuffed French toast, can be found further east in Palm Desert at Wilma & Frieda. 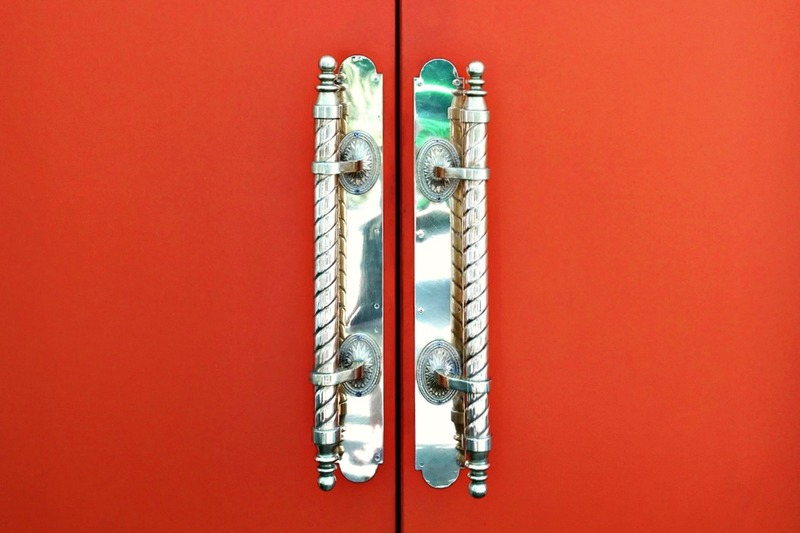 Head to The Parker Palm Springs for a luxe lunch at Norma’s and a leisurely game of bocce ball. Stop by one of Koffi’s three desert locations (we’re partial to the Koffi North location) for a signature coffee drink and cookies. Fuel up on a killer soft shell crab BLT at Jake’s Palm Springs or head uptown to The Draughtsman for the most inventive PBJ you’ll ever have. Snack on homemade potato chips and enjoy the best view in the Coachella Valley at Escena Golf Course. 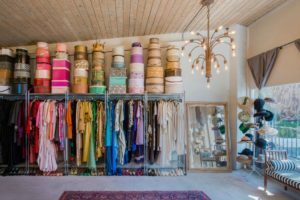 Visit our fabulous friends at The Fine Art of Design (pictured above) for the best selection of designer vintage clothing, jewelry & accessories you’ve ever seen. Our interview with owner Nicolas Delgado is a must read. 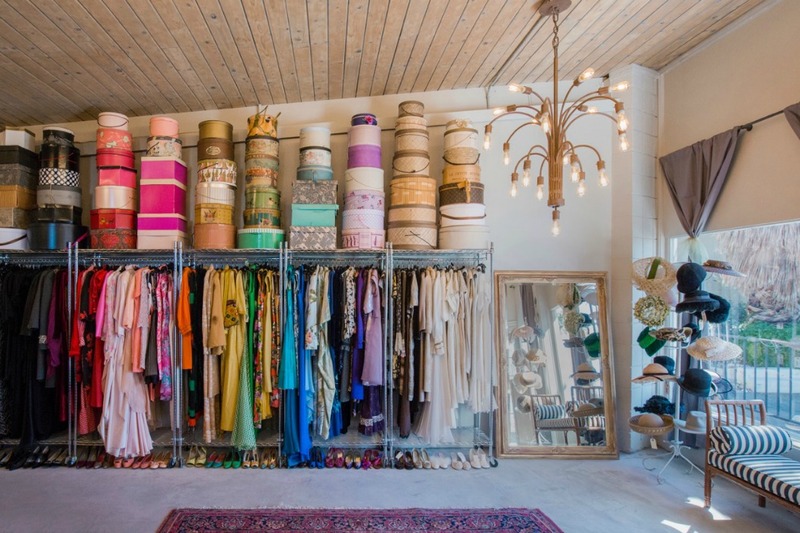 Shop Trina Turk’s flagship store for caftans, cool glassware and colorful swim stuff. Meet up with Patrick at Bon Vivant for extraordinary (and surprisingly affordable) vintage jewelry and colorful glassware. Indulge in retail therapy at The Shops at 1345. Daydreamer and Soukie Modern are two of our favorites for rock t-shirts and inspired textiles, respectively. Collect art and tiki-themed treasures at Shag’s Uptown Design District gallery. Do a drive-by (maybe two) to see the amazing found art sculpture by artist Kenny Irwin at 1077 E Granvia Valmonte in Palm Springs. Lounge a little in the sculpture garden at the Palm Springs Art Museum. 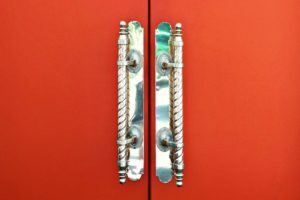 Take a few hours off to join Robert Imber’s Palm Springs Modern Tours for a fascinating look at the mid-century modern architectural history of Palm Springs. 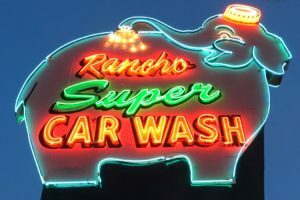 Clean the Coachella off your ride while you ogle the best neon sign, ever, at the Rancho Super Car Wash, aka the “Elephant Carwash” in Rancho Mirage. Stretch it out and enjoy a killer view with a morning hike. Park at E. Palm Canyon & Palm Hills Drive, then follow the fire road up. What are your favorite Palm Springs hot spots? We’d love to hear from you.